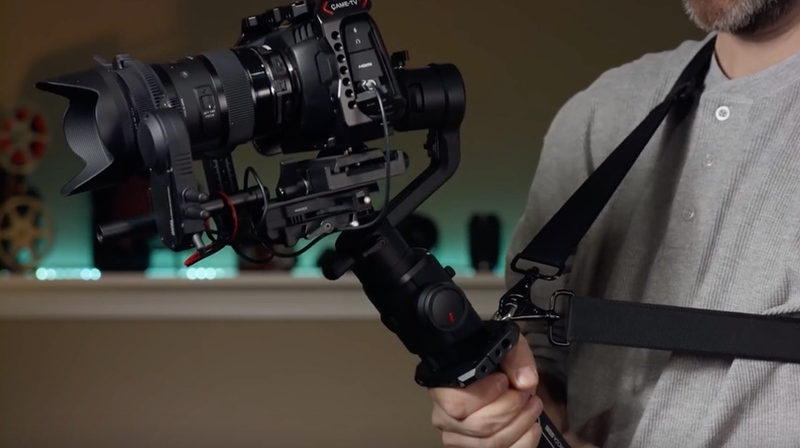 3-axis gimbals are an incredibly popular tool for filmmakers looking to achieve smooth movement with their camera but while offering a lot they are rather heavy and carrying them for a long period of time is tough. Here is a simple idea to help take some of the strain and add some attachments at the same time. In 2013 Vincent LaForet, one of the pioneers of the DSLR revolution, introduced us to a second transformational technology – the 3-axis gimbal. The Movi from Freefly immediately caught the eye of filmmakers around the world. Originally it was championed as a budget alternative to the traditional Steadicam, but looking a little further revealed many possibilities well beyond the scope of a full body-supported Steadicam rig. 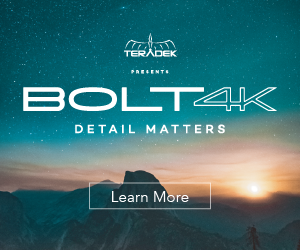 Dynamic camera movements of the head including pans, tilts and rolls, and the ability to operate the head and indeed the entire gimbal remotely at the end of a jib or hanging from a drone. The clever mounts that were designed for Russian arms on cars or even remote-controlled cars offered never-before-seen angles and movement. The ability to move through tight spaces or be passed from operator to operator through windows, for example. The creative ways to use this new technology are inspiring to watch. Sadly, one inescapable fact about all these fantastic tools remains – you have to carry them. It’s that simple. They are heavy and awkward. Even the most lightweight of the current crop of gimbals are difficult to hold for any extended period of time. The manner of holding them unsupported, out and away from your body, while carrying often heavy cameras and accessories is a real challenge. Even before being forced to put them down, your footage can suffer as you tire. One solution is the body harness – for example, Easyrig or Tilta Arm style vests that hang the camera in front of the operator from above. 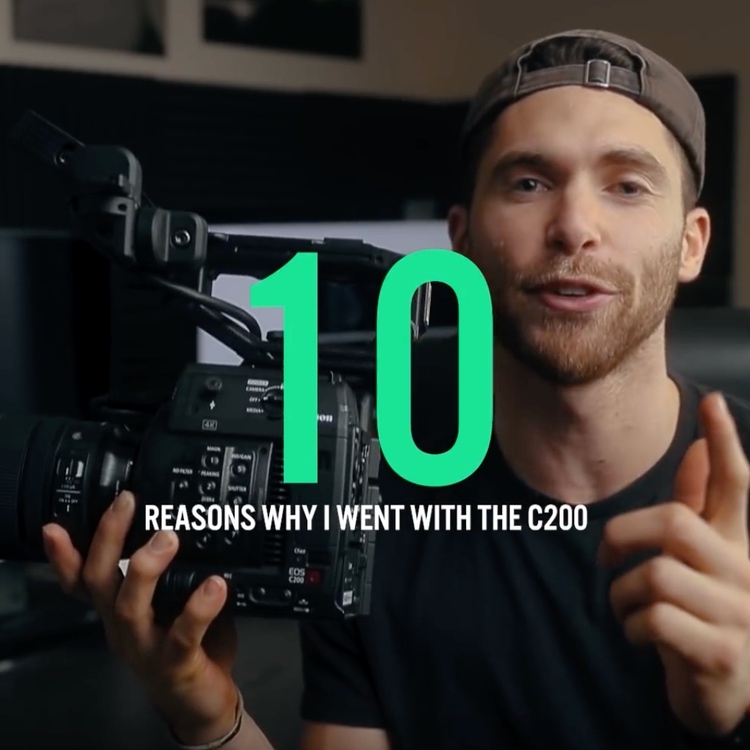 These, however, take away some of the greatest benefits of the gimbal and move the entire setup back towards the Steadicam it sought to replace. 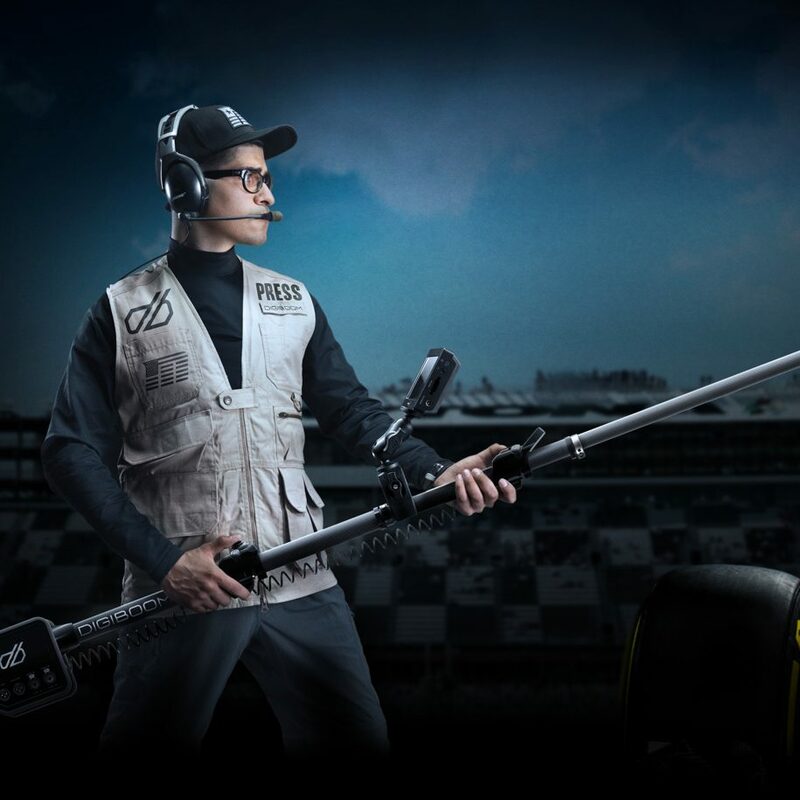 They are cumbersome, expensive, restrict the gimbal to the user in the vest and they look ridiculous. Since the original Movi, many other brands and styles have come along. The newest generation of 3-axis gimbals have a single-handed form factor and are proving incredibly popular both for their design and attractive prices. They are certainly lighter than many of the predecessors but they still have significant weight to them. So what can we do to help take the strain? 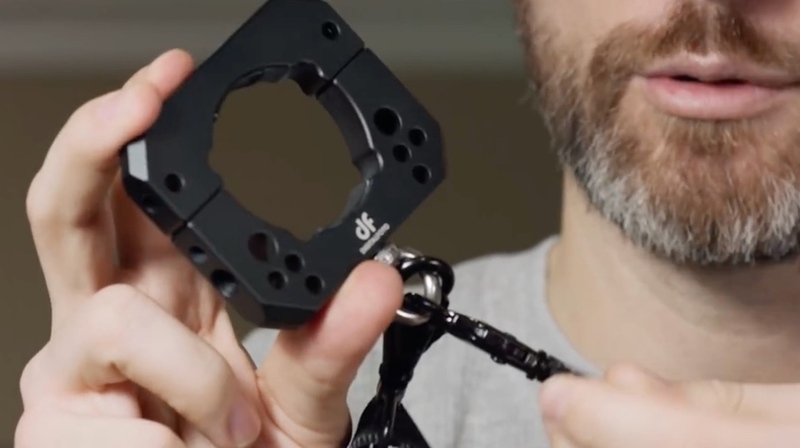 In this video, Tom Antos shows us a clever little accessory called the DigiFoto Spider that promises to help carry the load. A metal ring with a neck/shoulder strap and some attachment mounting points – could it really be that simple? The DigiFoto Spider is designed to work with single-hand gimbals like the DJI Ronin-S or Zhiyun Crane 2. 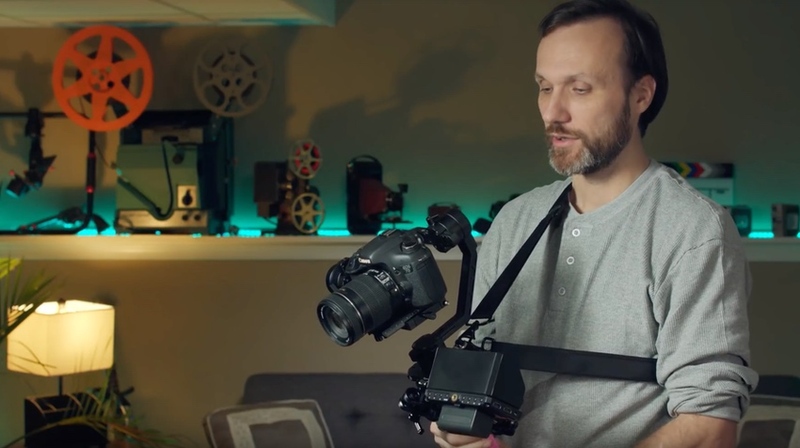 It allows the user to rest the gimbal between shots, letting the neck strap take the weight. This would also allow the user to have both hands free to adjust settings on the camera of gimbal itself. Handy. The strap is padded and its’ length easily adjusted. It clips on at the gimbal so is quick and easy to remove. 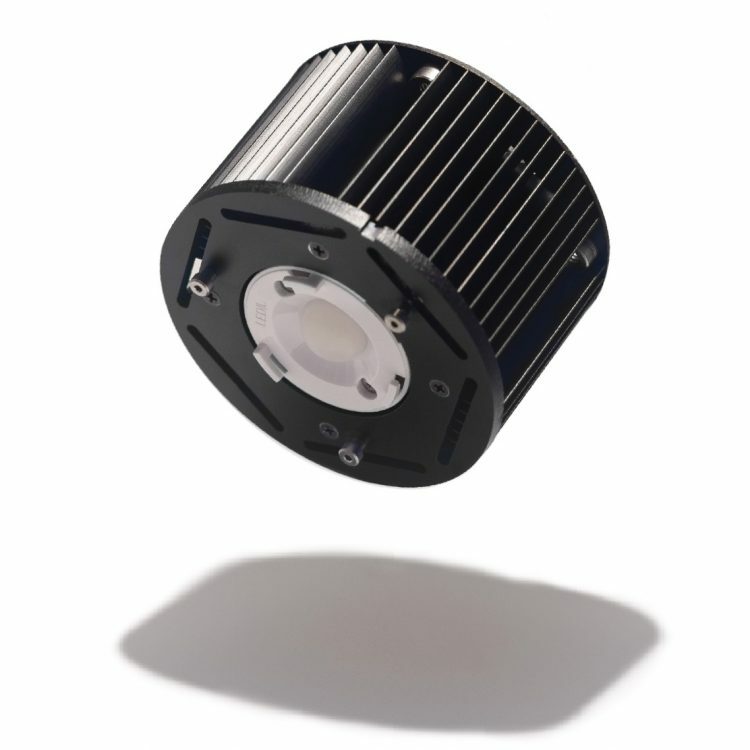 The DigiFoto Spider’s other value is in the mounting points it offers. Most gimbals don’t have 1/4-20s available to add, for example, an external monitor/recorder or microphone pack. The Spider gives you a few so now adding these standard accessories is possible. My first experience with a gimbal was a painful one. I was handed a Movi M15 with a Canon 300 mounted and was asked to try it out before getting some shots. I struggled with the weight. The newest versions with smaller mirrorless cameras on board are much better in that regard and I now have a DJI Ronin myself. The DigiFoto seems like a very clever and inexpensive accessory that would add value to my setup. It does look like it restricts movement somewhat – see 5.01 in Tom’s video – but the strap can be adjusted and removed when you want. 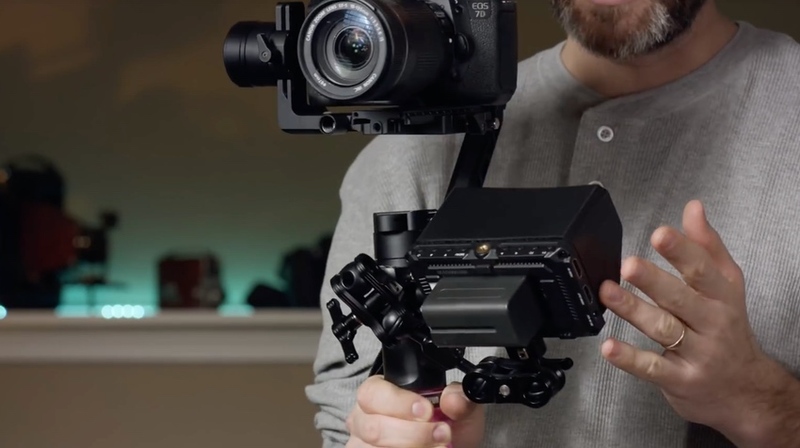 Using the mounting points for an Atomos recorder or whatever else you might need seems like a great idea. Gimbals are a revolutionary technology that I am still excited about and anything that makes them just a little easier to use will certainly catch my eye.